U.S. Army Spc. 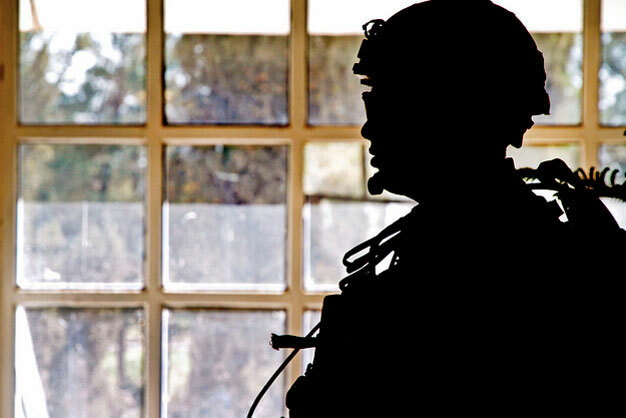 David White, a security force team member for Provincial Reconstruction Team Farah, stands guard during a key leader engagement in Farah City, Nov. 18, 2012. U.S. Navy photo by HMC Josh Ives/released.